Hey, did you hear? There’s a new Mazda MX-5! Well, it’s not totally new, it’s a refresh of the fourth-generation model. But any changes to what is the world’s best-selling two-seater car are worth knowing about, so what’s new with the MX-5 mk4.5? Cars that have undergone a mid-life refresh are renowned for looking virtually the same as the original, save for some new headlights or a fancy front grille. But Mazda hasn’t even done that – and they’re proud of it, admitting they’ve changed absolutely nothing about how the MX-5 looks, inside and out. ‘Is Mazda Japanese for ‘lazy and shameless’?,’ you may be thinking, but this is a model that was not only named World Car of the Year in 2016, but it also claimed the title of World Car Design of the Year on its debut. So when the planet approves of your car that much, you’ll be fine letting your designers stay in bed when refresh time rolls around. That said, the revised MX-5 can be identified by the new 16 and 17-inch alloy wheel designs. The biggest change with the facelifted MX-5 is under the bonnet, with the introduction of a new more powerful and higher-revving 181bhp version of the two-litre SKYACTIV-G engine. 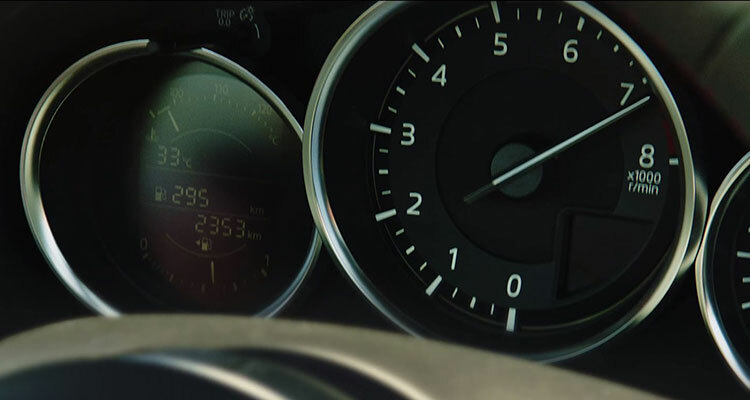 Revisions to the petrol unit mean that the soft-top MX-5 can now complete a 0-62mph dash in 6.5 seconds – almost a full second quicker than before – while the changes help the hardtop RF model snip half a second from its 0-62mph sprint. A substantial redesign of the engine results in lighter pistons and connecting rod, as well as key changes to the camshafts and exhaust valves, fuel injectors, throttle valve and air intake. As a result, power output climbs from 157bhp to 181bhp, while the redline now maxes out at 7,500rpm (previously 6,800rpm). On top of higher fuel pressure and more efficient combustion, torque has increased across the rev range, while peak torque rises by 5Nm. Despite the higher power, it actually emits less CO2 than the old 157bhp engine. Elsewhere in terms of mechanical differences, the telescopic steering and seat sliding operation have been modified to enhance driver comfort and improve the brand’s Jinba Ittai ‘car-and-driver as one’ ethos that sits at the heart of the MX-5 experience. Mazda has toyed slightly with its 1.5-litre SKYACTIV-G petrol engine too; improvements to friction mean it now produces 130bhp and 152Nm of torque. Starting price for the revised 2019 Mazda MX-5 rings in at £18,995 (£200 more than before), reaching up to £29,195 for the range-topping model. It will go on sale from September 1st. 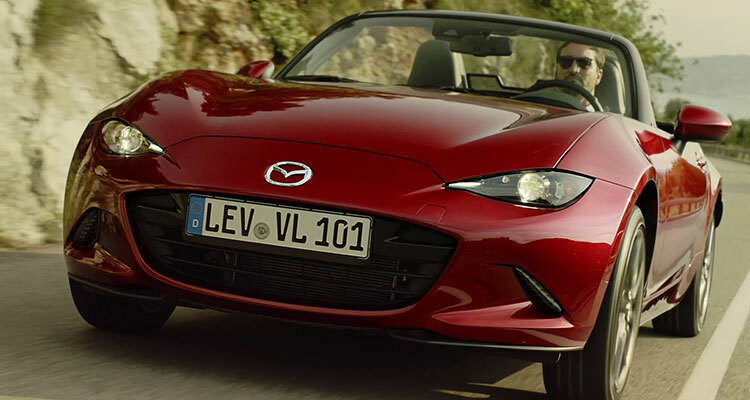 The MX-5 convertible is offered in SE+, SE-L Nav+, Sport Nav+ and new GT Sport Nav+ trim. Meanwhile, the RF is available in SE-L Nav+, Sport Nav+, and GT Sport Nav+, with the higher two trims available with an automatic gearbox. Standard safety equipment has been padded out for Sport Nav+ cars and above. These models now come with front smart city brake support, lane departure warning system, rear smart city brake support, traffic sign recognition and driver attention alert. Blind spot monitoring system with rear cross traffic alert, adaptive LED headlights and a reversing camera are standard on GT Sport Nav+ and optional as a safety pack on Sport Nav+. 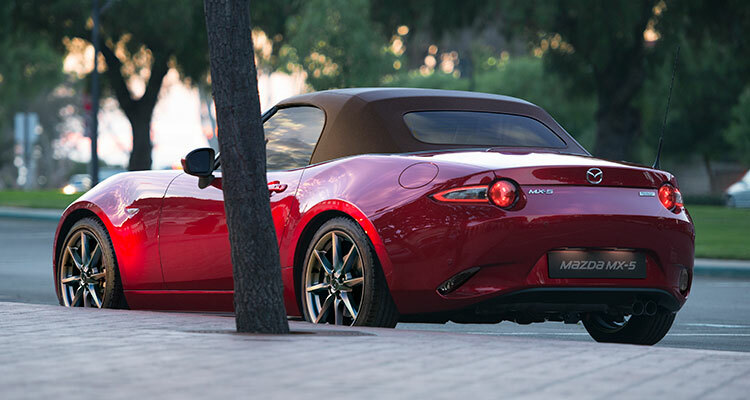 Masashi Nakayama, the car’s chief designer, said that the company will never tire of improving the MX-5. “We intend to keep refining the car, seeking out new ways to make it even more thrilling and satisfying to drive, so it can continue to offer customers unique excitement and cement its position as a cultural icon. 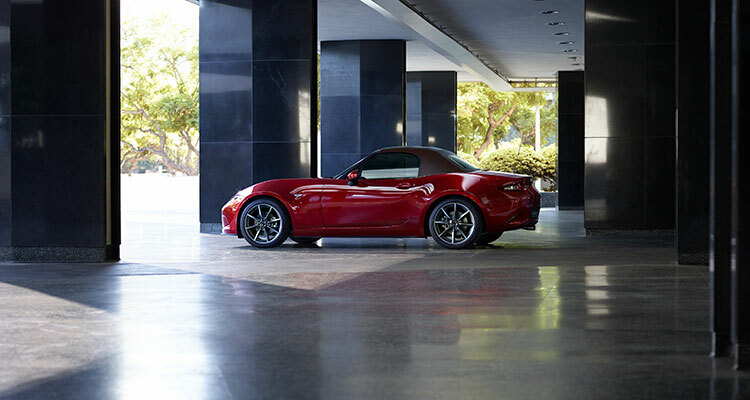 And that’s exactly what we’ve done with the 2019 MX-5,” he commented. 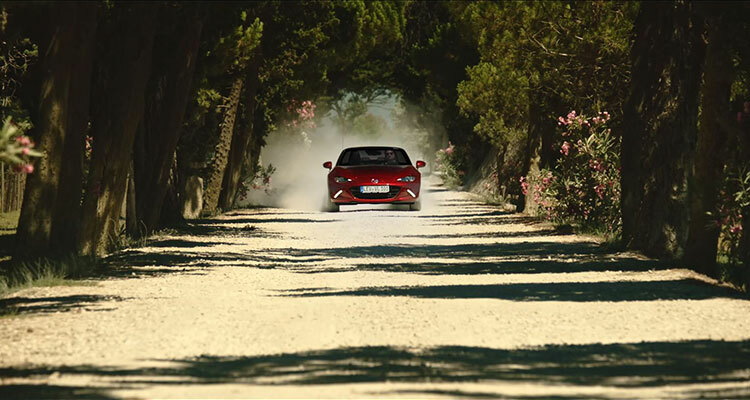 Jeremy Thomson, managing director of Mazda in the UK, added that the current generation MX-5 is “a benchmark sports car when it comes to driver engagement”. 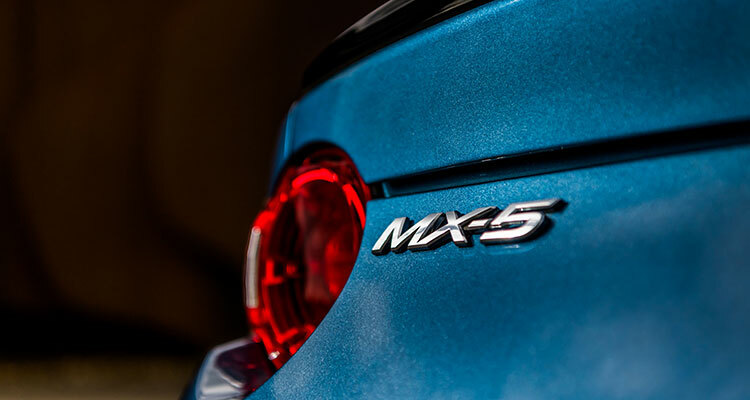 “So with extra power, improved performance, more revs to enjoy and a sweeter exhaust note, the 2019 two-litre SKYACTIV-G MX-5 will be more exciting and satisfying to drive than ever before,” he concluded. But what do you think about the refreshed MX-5? Tell us down in the comments.